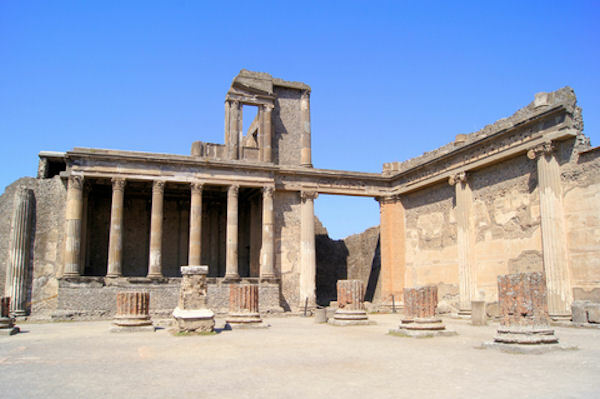 You will enter the fabled city of Pompeii through the Sea Gate as you experience a walk down the cobbled street to the Agora, surrounded by temples, porticoes, and law courts. It was the religious, civic and business center of the city. Because Pompeii was so well preserved, you can see many fine details that reveal the lifestyles of the residents, such as mosaic floors and colorful frescoes in some of the homes. As you wander through this ancient city, you can't help but notice the still-active Mount Vesuvius towering above. A visit to Pompeii is one of the musts of any visit to Sorrento.